Toshiba has recently unveiled a new member of its Portégé Z30-A business notebook series, the Portégé Z30-A-1C. The LTE-enabled notebook comes with a 13.3-inch display and will be priced at 1750 Euros in Europe. 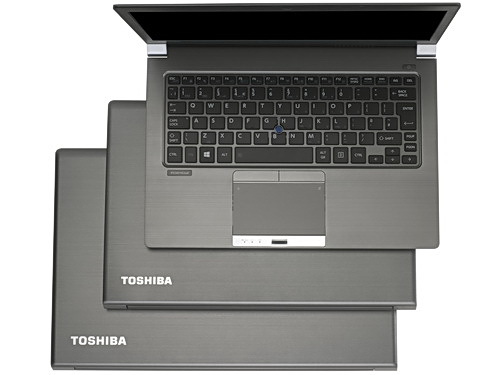 Back in July, Toshiba unveiled its new 13.3-inch business notebook series, the Portégé Z30-A line-up. The notebooks in the series are just 18 mm (0.7 inches) thick and have a weight of roughly 1.2 kg (2.64 lbs), and depending on the model, the price ranges from 1450 to 2350 euros. The new Portégé Z30-A-1CR will cost roughly 1750 euros. 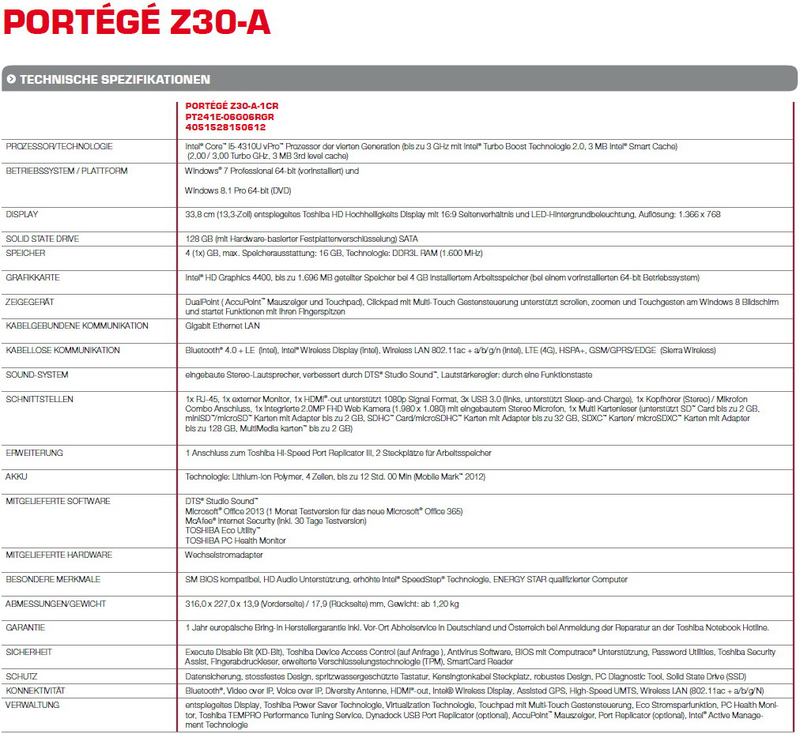 Compared to the entry-level model, the Portege Z30-A-192 (priced at 1450 Euros), the new Portégé Z30-A-1CR variant shares some of the specifications, such as the 13.3-inch display with a resolution of 1366 by 768 pixels, and a 128GB SSD, although only the SSD used by the 1CR model comes with hardware-based encryption. Furthermore, Toshiba has also upgraded the processor from an Intel Core i5-4210U to a faster Intel Core i5-4310U. Interestingly, the Portégé Z30-A-1CR runs Microsoft Windows 7 Professional (64-bit), but the manufacturer will also include a DVD containing the 64-bit version of Windows 8.1 Pro. On the connectivity side, the new business laptop comes with WLAN 802.11 ac, LTE (4G), Bluetooth 4.0 + LE, Intel Wireless Display, three USB 3.0 ports, HDMI-out, and Gigabit Ethernet LAN. The new model also comes with a few few business-oriented features, such as Execute Diable Bit (XD-Bit), a BIOS with Computrace support, Password Utilities, a smart card reader, a fingerprint reader, a TPM module, and a 2MP primary camera. For more details on the notebooks in the Toshiba Portégé Z30 series, check out the link here.